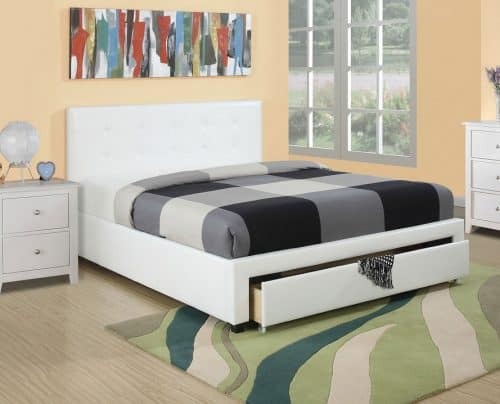 This bed frame includes a headboard, footboard, rails, & wood slats. Matching furniture, rug, and lamps sold separately. This stylish nigthstand adds perfection to the bedroom décor. Washed in white, the night stand is flawlessly crafted from pinewood, composites and veneers. The two storage drawers are spacious and adorned with metal silver finish round knobs. This nigthstand offers classic style, functionality and luxury. 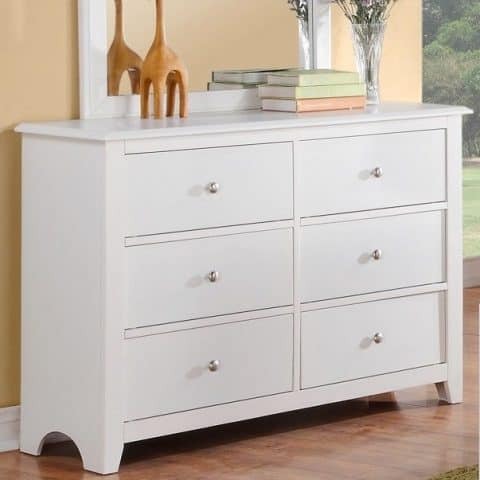 This stylish dresser adds perfection to the bedroom décor. Washed in white, the dresser is flawlessly crafted from pinewood, composites and veneers. The six storage drawers are spacious and adorned with metal silver finish round knobs. 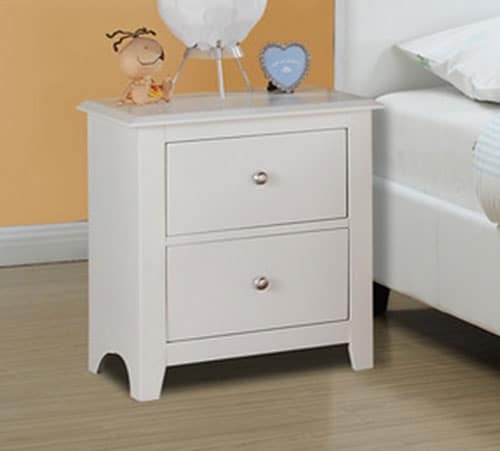 This dresser offers classic style, functionality and luxury.